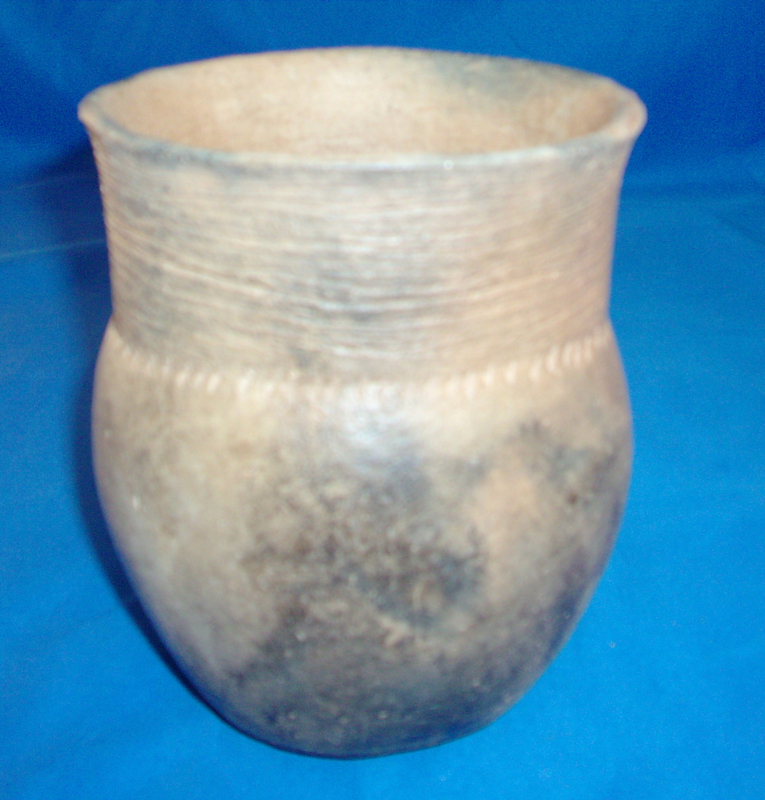 A Medium Size, Very Well Made, Coles Creek Incised Jar That Exhibits Surface Coloration And Clay Oxidation Style Aging, Correct Bottom Use Wear, Visible Aged Surface Grog Deterioration, Correct Style Incising, Visible Aged Open Pit Firing, Correct Type Material And Manufacture For The Area Found. This Is A Very Early, Rare Caddo Incised Jar Possibly Related To The Kiam And Dunklin Incised Jars & Close To The Same Time Period As The Crenshaw Jars And Hickory Waterbottles! Includes A Ken Partain Certificate Of Authenticity!